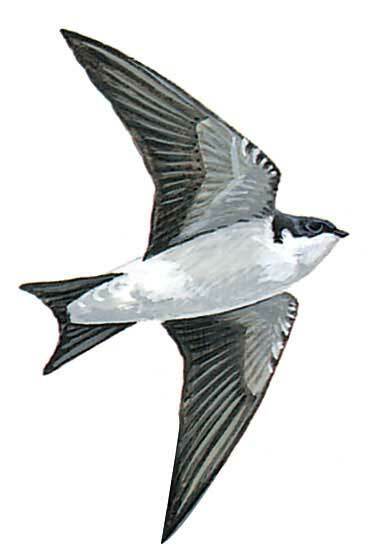 Smaller than Barn Swallow with black and white appearance; easily recognised by bluish black upperparts with striking white rump and all white underparts; short, forked black tail with white undertail-coverts and rather dark underwings. Juvenile duller with brownish wash on head and breast sides. Flight more fluttering than Barn Swallow with long glides often high in air.